The Petaluma Women in Business (WIB) breakfast on Wednesday, November 14 at the Palms Grill, 100 S. McDowell Blvd. at 7:30 am. This popular monthly event includes networking and a no-host breakfast, with speaker Lyndi Brown sharing how interest leads to passion. Brown will share how she recognizes opportunity, starts with engagement, breaks new ground, and practices creating balance. In 1985, Brown was hired by the Chamber of Commerce to direct a tourism program, funded by the City of Petaluma, to inform the outside world that Petaluma was truly a special place. What Time magazine once called a “dusty cow town” soon became known as a “Victorian riverfront town” as cited by Associated Press. 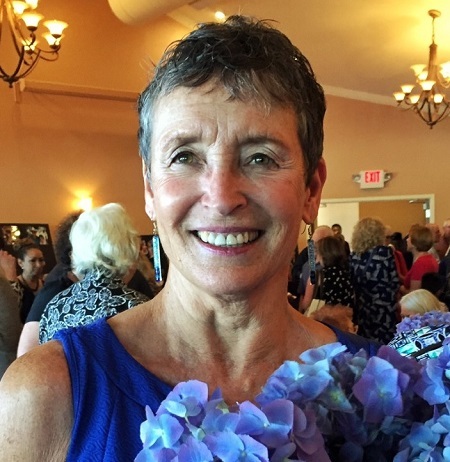 Her current passion is for Village Network of Petaluma, where volunteers and members ages 50+ grow, laugh and rely on each other as they take on the future. She has led fundraising efforts for SRJC’s Petaluma Campus and Petaluma Arts Center. She was named Rear Admiral of the Petaluma Navy, Petaluma’s Good Egg and Grand Marshal of the Penngrove Celebration Parade. Brown is a columnist for Sonoma County Gazette and a volunteer with Penngrove Social Firemen.